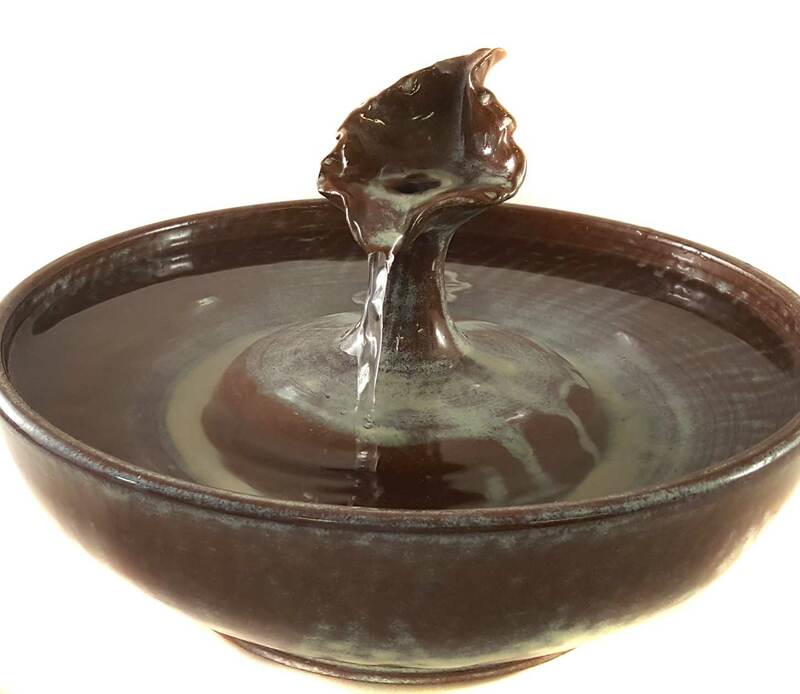 A striking cat fountain in shades of chocolate and mint. Water fills the leaf and pours from the lip in a pleasing stream with gentle water sounds and no splash. 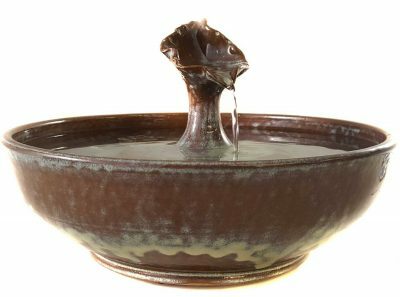 Your cats can drink from the leaf, the stream and the bowl. 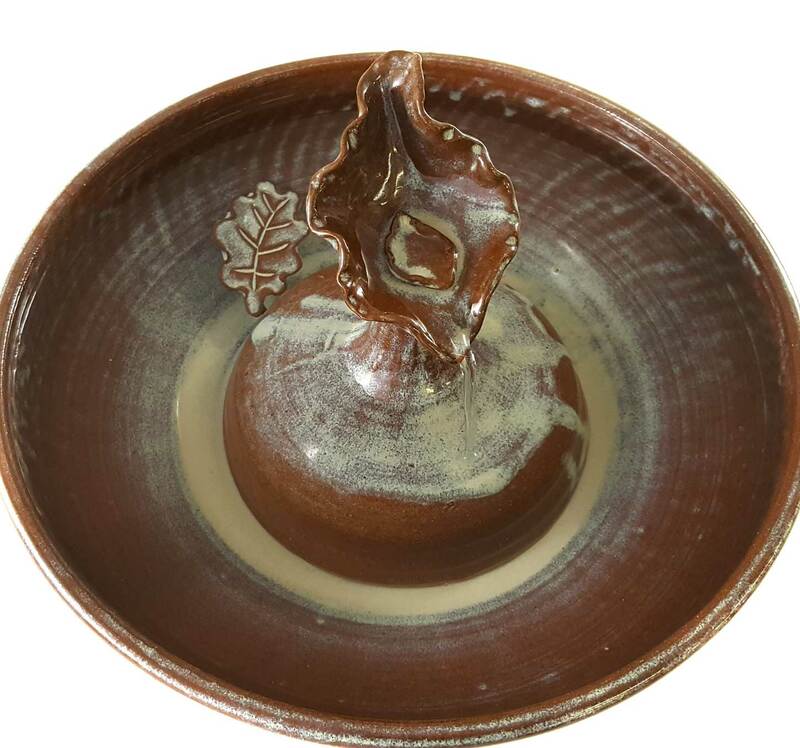 Use the ceramic mini-leaf insert for a more gentle flow. Excellent for long hair cats and cats wanting a faucet.